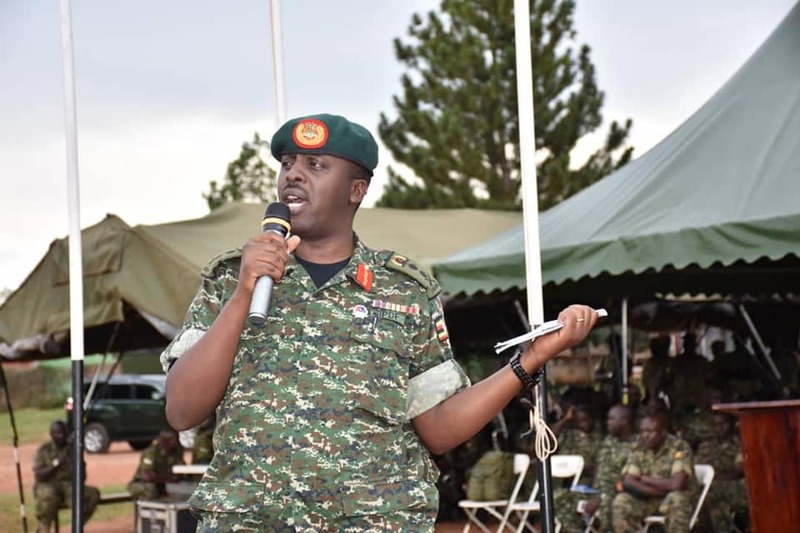 GULU – The Chief of Defence Forces (CDF), Gen David Muhoozi has called upon the local leaders of Gulu to find a way to handle the issue of foreigners that are increasing in their area. Gen Muhoozi was yesterday officiating at an event where Col Bonny Bamwiseki assumed office from Brig. Emmanuel Kanyesigye as new Commander of Uganda Peoples Defence Force fourth Infantry Division in Gulu town. Brig Kanyesigye has been appointed for a Diplomatic mission to Burundi as force attaché. The division covers East Acholi and the West Nile sub-regions. Col Bamwiseki has been a commander of the UPDF division in Arua for the last three years operating under the 4th Division headquarters. Brig Kanyesigye has been appointed for a Diplomatic mission in Burundi as a force attaché. Gen Muhoozi called upon the local authorities in Gulu district to take a tough stance in identifying the interest of increasing foreigners in the northern region as they work jointly with the UPDF in managing the security situation in the region. “Local leaders put your heads together with the new commander to ensure that our country is safe from the foreigners because some of them come with different intentions, both bad and good and you need to ‘scratch the surface’ to identify them properly without being xenophobic” Gen Muhoozi advised. Muhoozi congratulated the outgoing commander for completing his task successfully and tasked Col Bamwiseki to work with the leaders to resolve the issues of refugees, foreigners and the Balaalo and engage with the community to increase agricultural production for food security since the region has a lot of potential. The CDF strongly warned against nomadic pastoralists roaming the region since there is no free land in Uganda. He emphasized that the 4th Division territory of command is very big stretching to the Democratic Republic of Congo and South Sudan and it requires effort to ensure the frontiers and the internal security is safe from crime and proliferation of firearms from porous borders. Gulu Resident District Commissioner, Maj Lapolo congratulated Brig. Kanyesigye upon his new appointment and urged his successor to actively work with the district security team, civilians and authorities. “Through Kanyesigye we built a strong security wall through good rapport with the community and leadership and succeeded in fighting environmental [degradation], violence and nomadism in the region,” Maj Lapolo said. Lapolo appealed to both UPDF and Uganda Police Force to step up their support in fighting crime, and the influx of foreigners from Congo. Col Bamwiseki thanked Gen Muhoozi for giving him a chance to command the 4th Infantry Division and pledged to work hard and cooperate with the community and local authorities.